When I get a voicemail can I forward this? Reply to the message? What are the other menu options? What is VoIP and what will it look like? VoIP is a way of using your network cable to send and receive the sounds of your voice, or Voice over IP. Rather than using a phone line it uses a network cable. It is all digital, so it is great for networking and integration with other technologies. At Dentistry we have two forms of VoIP. You may see this pop up on our computer desktop. You login using your username which is your new VoIP phone number. We provide a "headset" that has a microphone and headphone so you can hear and receive sound. The combination of software on your computer and the headset are often called a "soft" phone because it is software based. Most staff at Dentistry will receive a softphone using COMMUNICATOR 7 with a LOGITECH headset. Most reception areas will receive a POLYCOM 311 hard phone. Can I access voicemail from home or when I am away from the Faculty? Yes. Simply dial your Dentistry phone number with area code and wait for your voicemail message to start. Once the message starts, press the * key. This will take you to the voicemail menu where you can listen to your voicemail messages and access the other voicemail menu items. Polycom 311 Desktop phone - How to change my 6 digit voicemail passcode? Please see the following guide to change your passcode. NOTE: You must know your existing passcode in order to make a change. If you are accessing the voicemail for the first time please go to the following guide. Polycom 311 Desktop phone - How to I use this new VoIP phone? Polycom 311 Desktop phone - How do I setup my voicemail greetings? 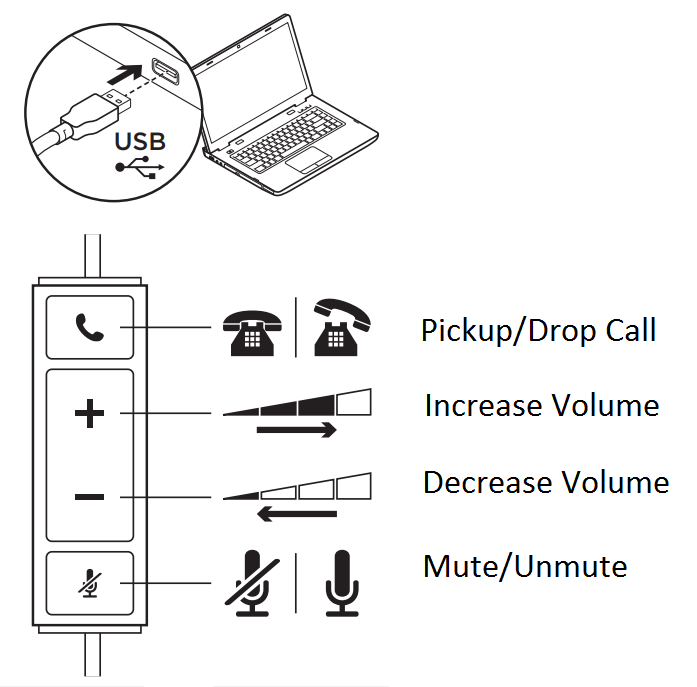 Attached is a guide to setup voicemail with your Polycom 311 desktop phone. It is recommended that you record a custom personal greeting for those times when you are on the phone, or for when you are away from the office or on Vacation. There is also an option to record and activate an extended absence greeting for leaves or other long absences. Communicator 7 - It is all new to me...how do I use this application to phone someone? Communicator 7 - My voicemail is not working correctly, what are the correct settings in the application? "I can't get voice messages". "People have said they left a message but I don't see them". Communicator 7 - How can I forward my calls to another number using the application? Communicator 7 - How do I find phone numbers and manage numbers I call often? Communicator 7 - I cannot hear a ring? When people call I cannot hear them - How do I fix this? The Audio setting in Communicator 7 need to be set to use your provide headset in order to receive sound from your caller. Also if you want to hear the ring of a call in Communicator 7 you will need to make sure the ring goes through your speakers. Communicator 7 - Do I need to change my Password, and how do I change my Password for sign-in? It is recommended that you keep the password that you have been given and press remember password when you first login. You MUST know your present Password in order to make a change. If you have forgotten your passcode you must come to the Help Desk at room 346 and we can re-set this for you. If you are accessing the Communicator 7 application for the first time you will have been provided with a passcode. Your "username" is the complete phone number, (* e.g. 416-864-____), that has been given to you. You may notice that your number is shown with a 1 in front, like 1-416-864-_____ You do not have to add this to sign in. Communicator 7 - How do I change my 6 digit voicemail passcode? Please see the following guide to change your password. Your new passcode will be 6 digits. NOTE: You must know your existing password in order to make a change. If you are accessing the voicemail for the first time please go to the following guide. Communicator 7 - How do I setup my voicemail greetings? Please use this guide below to setup your voicemail greetings for the first time. It is recommended that you record a custom personal greeting for those times when you are on the phone, when you are away from Faculty, or on a vacation. There is also an option to record and activate an extended absence greeting for leaves or other long absences. Communicator 7 - What do the “Call from Phone” or “Video call” do? "Call from phone" is only for people who have a VoIP phone and wish to use the Communicator 7 application to place their call via their attached Polycom 311 desktop phone. The "Video call" feature is not available for Dentistry VoIP accounts. If you accidently place your call using these button, your call will appear to be dialing but will not connect. You must ONLY use “Call” when using the Communicator 7 application. Communicator 7 - When I plug in my personal headphones into the computer jack will I need to change any settings to use this application? Yes - When you plug in your headphones you will get a message saying "which device do you want to use?". Choose from the list: "Dell Speaker Out". This setting will allow both your personal headphones and your Communicator 7 headset to work together. You will hear a ring in your personal headphones, and then be able to put on your headset on to answer the call, without the other sound playing to your headset interfering. Communicator 7 - Can I do a conference call when using VoIP? You can do what is called "3 way calling" which will allow you to add 2 people in addition to yourself to a call. If you require more people to join a call you will not be able to do this from your phone or the Communicator 7 application. You can call any regular phone number (even outside Dentistry) to add them to the call, they do not have to have a VoIP phone. Communicator 7 - When transferring a call, can the call be transferred to an external (non-VoIP) number? I want to transfer a call to someone in the University or outside Dentistry - can I do this? Yes - You can transfer a call to any number you can normally dial. Communicator 7 - How do I use the the switches on the Logitech headset, and what so they mean?